Exploring movement and sport in the great outdoors in nothing short of awe inspiring. Nature has a way of making us feel small – enhancing the connection we feel with the environment and our movement practice. The outdoor athlete develops a high level of ability in their pursuits due to constant changes in surroundings and the rigors of unpredictable terrain. Although this training creates a robustness of mindset, strength, and endurance, the outdoor athlete must also be cognizant of physical stressors that could harm the body. Unlike training in a gym setting, natural surroundings like the ocean, rivers, forest, and mountains contain dangerous and constantly changing surfaces and features. Over time, interaction with these elements can produce micro trauma to joints, ligaments, and muscles, leaving our bodies susceptible to injuries. Over the past 10 years as an strength coach, the majority off my clients’ pervasive injuries have surrounded the most mobile joint in the body: the shoulder. The shoulder is not only responsible for helping the arm reach to rocks, branches, and gear, but also helps us to push and pull ourselves off the ground. The shoulder’s capacity for strength, mobility, and function is unmatched compared to our other joints. Its musculature is capable of great sturdiness in almost every plane; sagittal (forward and back), frontal (side to side), and transverse (twisting motions). Having so much load and action to bear, it’s easy to see that the shoulder joint and surrounding musculature can accumulate stress over time from repetitive use or trauma. But, with proper maintenance we can improve our shoulder mechanics to prolong and enhance our outdoor pursuits. When we think of the shoulder, we typically think about the upper arm bone (humerus) attaching to the shoulder blade (scapula) in a shallow ball and socket joint (glenoid fossa). The ball and socket anatomy allows the shoulder to have the greatest range of motion of any joint in our bodies. We must also examine the joint connecting the collarbone (clavicle) and scapula (acromion process). 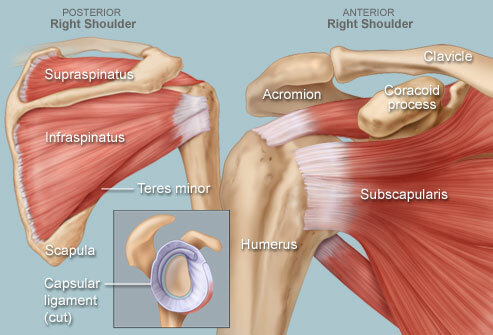 This so called the “AC” joint is the injured joint referred to when someone has separated their shoulder. The scapula also connects to the ribcage, known as the scapulothoracic joint. Uniquely this joint is controlled by muscular attachments. With these three connections of the shoulder, we can see that muscles, ligaments, and tendon integrity must be maintained to ensure healthy outdoor activities. Any disruption caused by a muscle knot (trigger point), tendon inflammation (tendonitis), or trauma can lead to acute or chronic injury. You’ve probably heard of the “rotator cuff” before when someone has endured a shoulder injury. 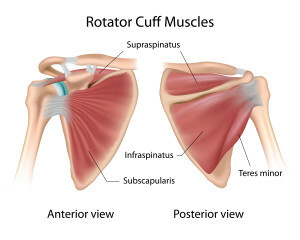 The rotator cuff is actually made up of four muscles that originate and attach along the scapula and humerus. These muscles are necessary to stabilize the head of the humerus while the surround musculature help raise the arm in flexion, extension, abduction, and adduction. The subscapularis is the biggest and strongest rotator cuff muscle that allows internal rotation of the humorous – imagine the arm’s entry position in the water during a surfer’s paddle into a set. 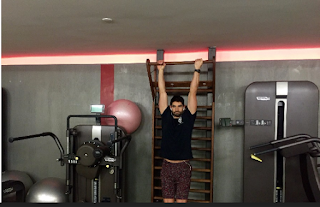 The supraspinatus allows abduction of the shoulder when raising the arm over head from the side – think of the arm moving into the overhead position or the shoulder keeping stable while carrying a heavy load. The infraspinatus externally rotates the arm – this muscle comes into play during the beginning of a throwing motion. The the arm whips back before coming forward. The teres minor is in charge of external rotation and transverse abduction of the humerus – bringing arms to the midline – imagine the arm’s exit position in the water during a surfer’s paddle into a set. As outdoor athletes, our needs and uses are varied. Impact trauma from falls can result in tears to our rotator cuff muscles or dislocation. Overuse from excessive movements like paddling a surfboard can result in inflammation and tendon pathology. Even sitting while driving can cause an imbalance in the length of our chest, shoulder, and upper back muscles. Our ability to use our arms is dependent on the health of our joint, muscle tissue, and tendon and ligament strength and pliability. Further, adequate mobility in our scapular plays a direct role in our shoulder joint’s ability to move freely. The muscles in our chest, upper back, shoulders, and rotator cuff must have adequate tissue length and be freed of excessive trigger points. In case of chronic injury, tendonitis, or rotator cuff tears, we should approach training with specificity, seeing physical therapists or qualified personal trainers to fix our issues. “Pre-hab” can prepare us for impending accidents, but serious injury requires medical attention. You should see a qualified healthcare professional if symptoms of injury do not improve with adequate rest. For our purposes here, I want to give you general exercises that can help a majority of outdoor athletes to live a pain free life while maximizing return in their chosen sport. 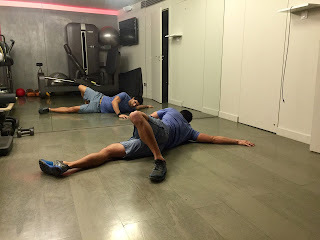 Engaging in these four pre-habilitation exercises will maintain our joint health by producing adequate blood flow to the shoulder tendons and moving through a full range of motion. Like our great ape ancestors, the human shoulder blades are capable of hanging and swinging. 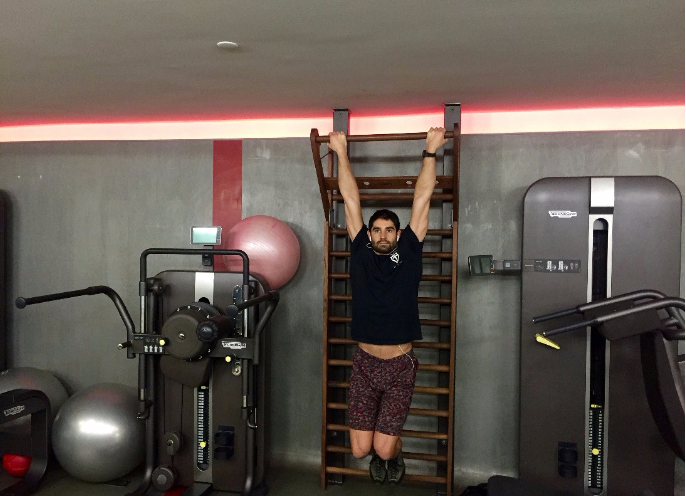 By hanging on our bodyweight, tissues surround the joint capsule are able to stretch out of any problematic compressed states. Be gentle when engaging in hanging If pain is present during any of these hanging variations, you can put a foot or toe on the ground to alleviate your body’s weight. Try each hang for 3 sets of 30-60 seconds. The eagle grip will be the most challenging for most people and should only be attempted after ease in the mixed grip develops. 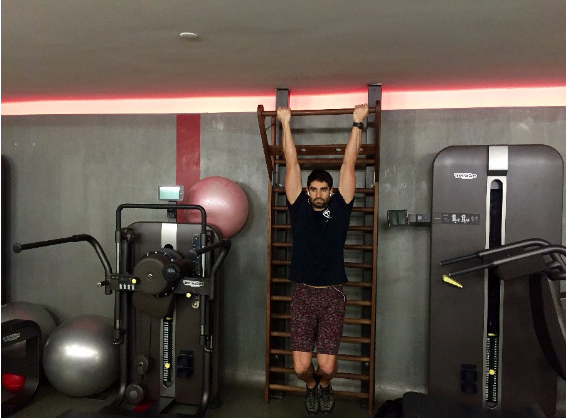 These hangs can be done in the morning, night, before or after sport. 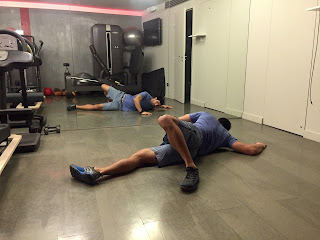 As a warm up to your preferred sport, or done daily for maintenance, each mobility exercise will be completed for 3 sets of 10 repetitions as a baseline. After successful engagement of these mobility exercises, the load and intensity can be increased for more robust changes. Start with bodyweight on each exercise, moving up to a light weight (soup can), then finally a heavier dumbbell. Strengthening the shoulder should be trained at minimum 3 times per week. As a maintenance routine, these exercises can be done before or after your preferred outdoor activity. In case of maintenance, 1-2 sets can be performed with varying intensity based on level. Try each exercise for 3 sets of 10-15 repetitions. (To perform wall slides, make sure low back is as fast as possible against wall. Keep constant contact with upper back, shoulders, head, elbows, and hands. Make a “snow angel” motion). While stretching, actively press the stretched muscles into the floor (isometric contraction) to further your muscles ability to lengthen. As outdoor athletes, we are blessed with developing our physical skills in outdoor settings. Although we accept the inherent danger in our physical pursuits, it is prudent to engage in training exercises that not only make us better at our sport, but prevent potential injury. Healthy shoulders allow us to continue our endeavors and appreciate the outdoors for a lifetime.